We’re just going to say it: by comparison, winters at the Shore can be a little lifeless, a little barren. Summers are insane and we certainly love our summer visitors, but we kind of enjoy the break that the winter brings. The hustle and the bustle of the summer season becomes a memory sometime in November, and, by the time January rolls around, everyone down here is looking for ways to keep life interesting. The same is true at the brewery. The guys in the brewery have been keeping pretty busy — particularly attempting to fulfill the demand for Demisemi — but it’s about this time of year when they start to look for ways to expand their horizons. That works out pretty well for you, dear beer drinker. It’s your chance to try something that you wouldn’t get to try over the summer. 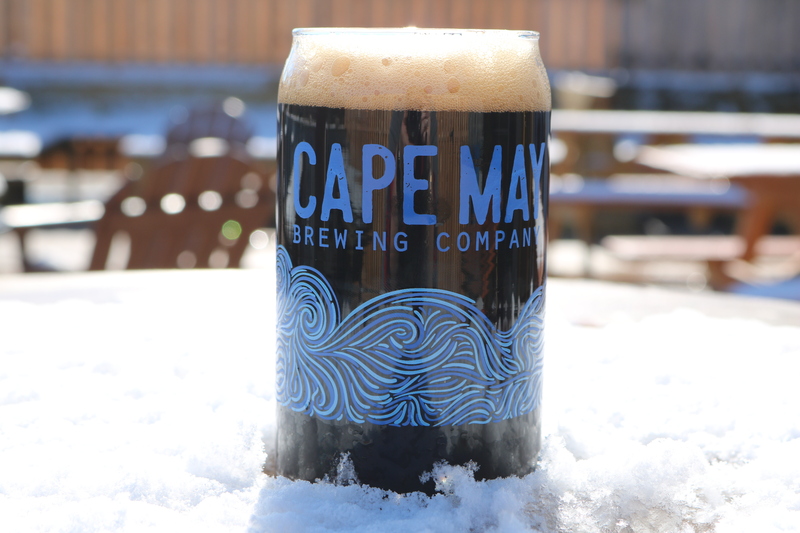 Winter and dark beers seem to go together like snow and misguided weather forecasts. That’s why we decided to “go dark” over the winter and brew Tall, Dark, and Lager. 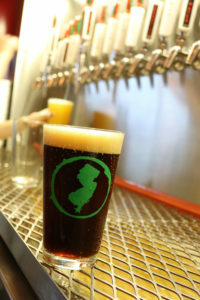 Dark lagers are somewhat of a hybrid in brewing circles: somewhere between a porter and a stout, yet both of those styles are classified as ales. When you throw lagering into the mix, things end up taking a little longer. We lagered this bad boy for four weeks — and we can’t risk tying up a fermenter for that long over the summer when we’re running at 100% capacity. With things slowing down, we could take a gamble on Tall, Dark, and Lager. Not only is the winter perfect for dark beers that warm your gullet, but we have the chance to play around with brews that tend to tie up the equipment a little longer. 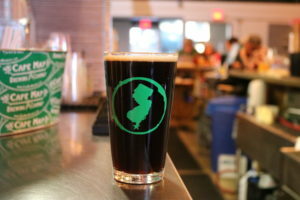 Tall, Dark, and Lager is of the style known as a Schwartzbier — German for “black beer” (those Germans are always so evocative) — it uses dark and roasted malts to give it some of the color and flavor characteristics of a porter or a stout, but the lagering gives it the crisp body of a lighter brew. Crafting the malt bill for Tall, Dark, and Lager was the real challenge with the brew. Most lagers — like pilsners — use only two-row or pilsner malts. Others use caramalts or crystal malts. We were walking a pretty fine line, here: go too heavy on dark malts, and the brew is too bitter, go too light, and there’s no complexity. Yet, with the work that went into the malt bill, the guys still knew they wanted to go a little farther than your typical Schwartzbier — still trying to keep things really interesting over the winter. So they dry-hopped it. With the intricate grain bill, the clean lager yeast, and the subtle earthy and herbal hop aroma, the result is a smooth, eminently drinkable, surprisingly refreshing dark brew. And you get the chance to try a rare brew like Tall, Dark, and Lager. Swing down to the brewery this weekend and give it a try.